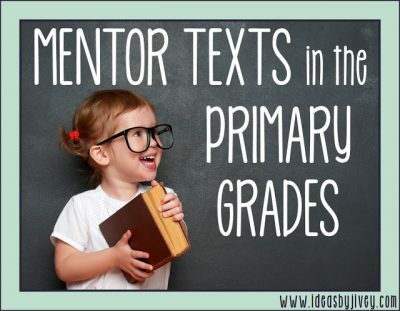 This time of year is my FAVORITE when it comes to a lot of things… but especially mentor texts! 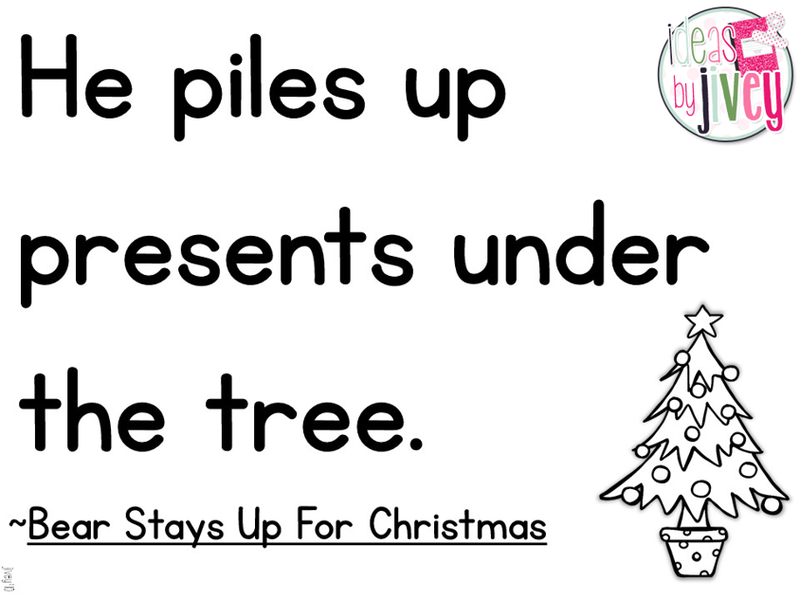 There are so many fun, seasonal books to read to students. 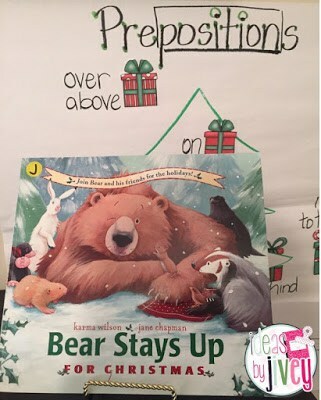 One of my favorites is Bear Stays Up For Christmas by Karma Wilson. 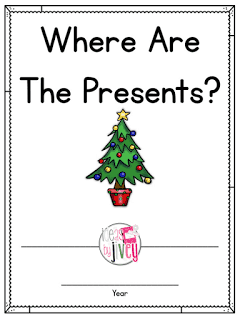 I included this book in Seasonal Mentor Sentences for K-1 Emergent Readers. 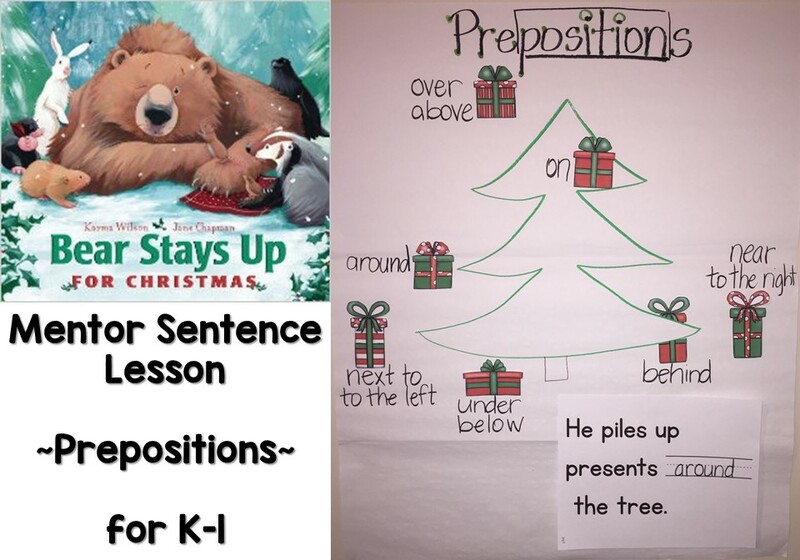 One way to liven up a sentence, yes even in kindergarten and first grade, is to add some prepositional phrases. 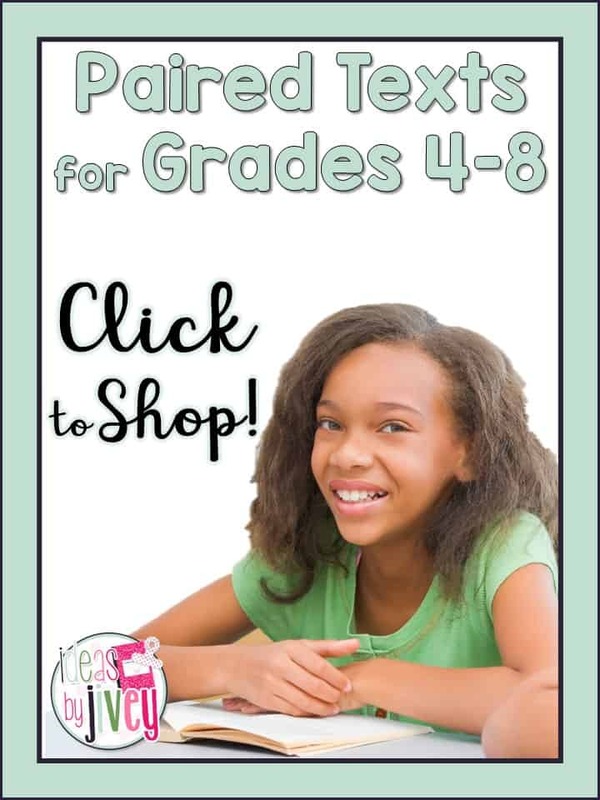 Whether you want to call them by their “real name” or just call them “position words,” students should be able to use them even at this age. 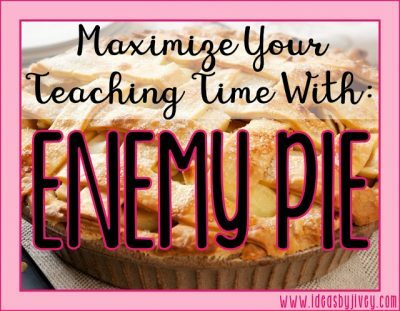 Watch the video about the lesson below, or scroll further to read details about it! 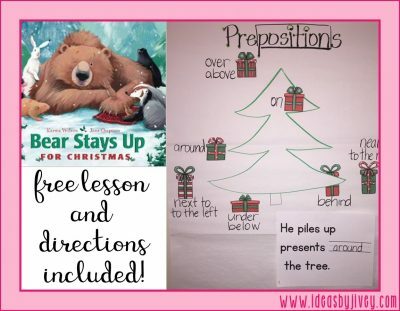 Download the Bear Stays Up For Christmas Lesson Here! 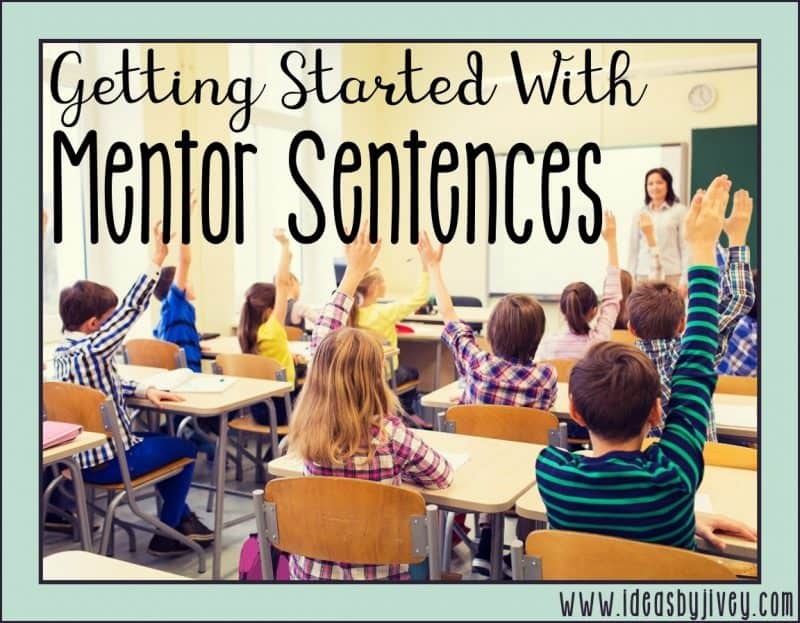 The idea of mentor sentences across all grades is for students to notice what makes this a great sentence, and then carry those great things over into their writing. 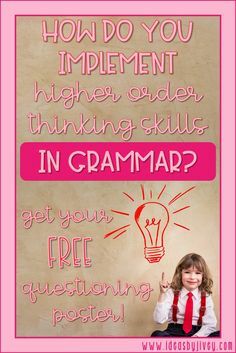 Read the sentence together several times, and then begin asking questions. 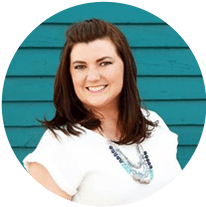 First, you might ask questions to ensure understanding. 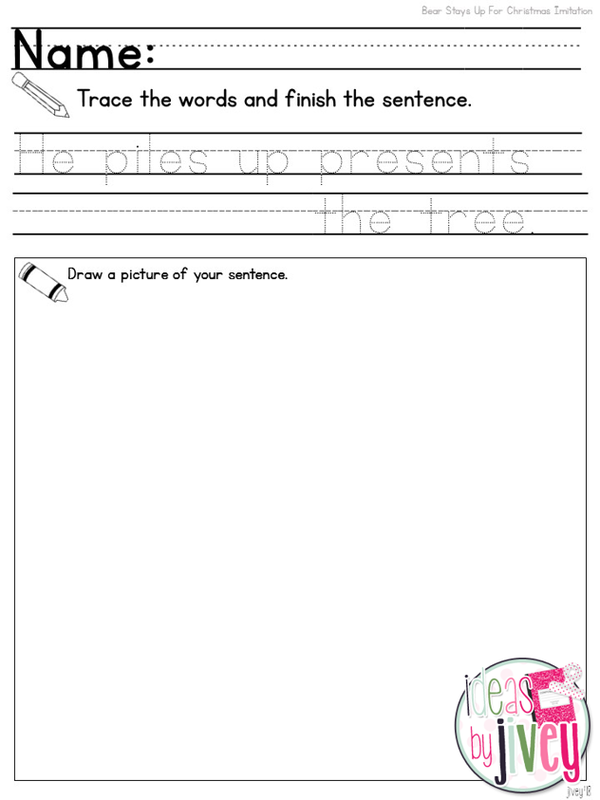 “What is the sentence about? 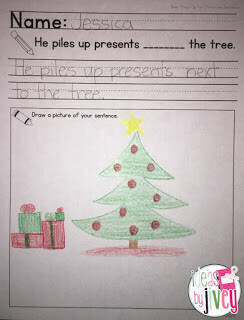 Who is ‘he?’ Where did he pile presents?” Then start asking questions to guide them to see what makes this a good sentence: “What is the verb in the sentence? 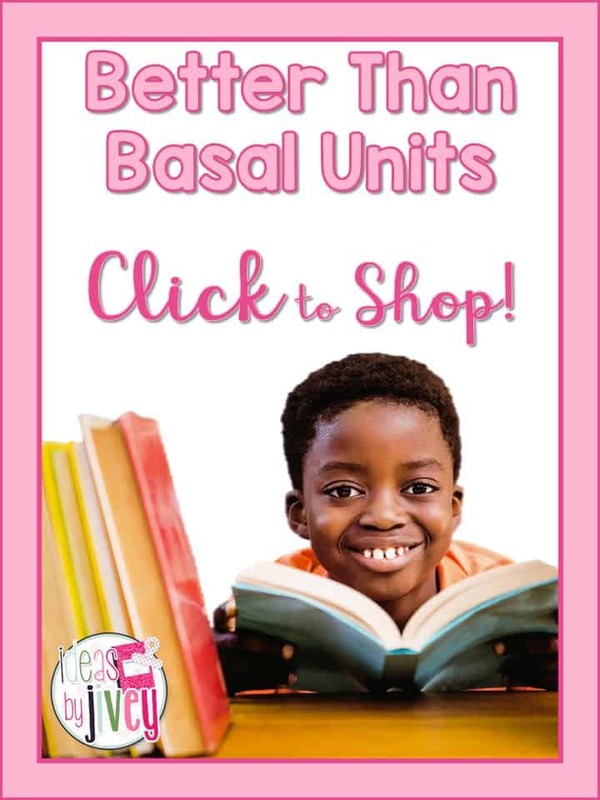 What are the nouns? What is the position word? 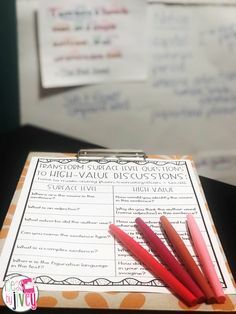 What does the sentence start/end with?” After several weeks, once students realize what questions you might be asking, they will start looking for these things in sentences on their own. 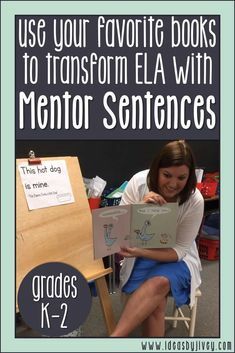 Many teachers have said they LOVE my sets of mentor sentences because it doesn’t just cater to their writing needs, but it also helps students with word recognition and reading! 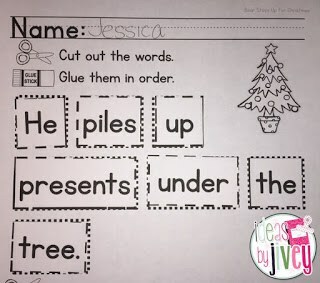 This is an activity students would do after comprehending and noticing the important parts of the sentence. 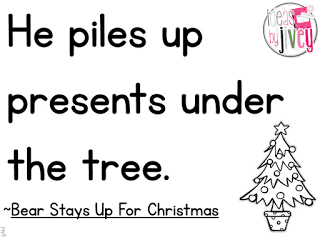 The next day, revisit that position word, “under.” Talk about why it was important in the sentence and why we would want to use position words in our sentences. 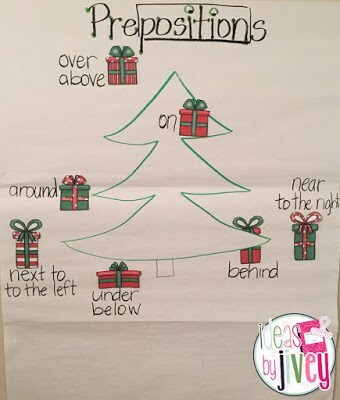 Create an anchor chart with a Christmas tree. 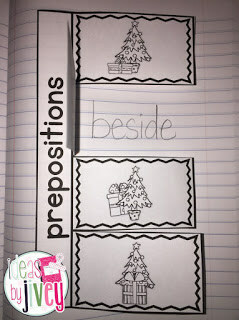 Place some gifts in different places around the tree and ask students to name the preposition that tells where the gift is, labeling as they tell you. 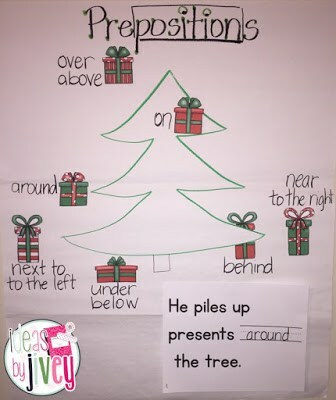 Students will also have the opportunity to complete an activity on their own (or with your guidance) with some prepositions. On the third day, you will revisit the sentence again. 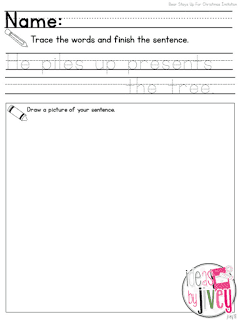 Read the complete sentence together, and then use the sentence frame to discuss what other prepositions we could use in the sentence. 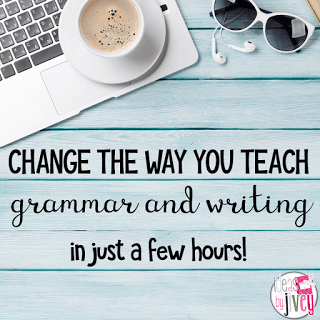 At this point, students will be eager to try this out on their own! 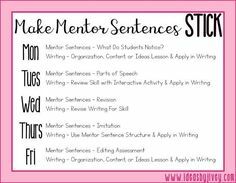 Depending on the writing level of your students, you might provide them with the sentence ready for them to trace, or you might give them the page that enables them to copy the sentence independently. 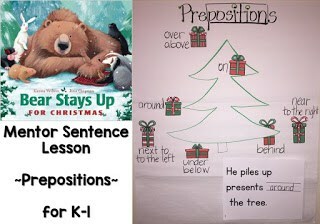 Either way, students will be excited to put their own preposition in the sentence, and then illustrate the sentence, too! This might take two days to complete, depending on how much time you have for writing. 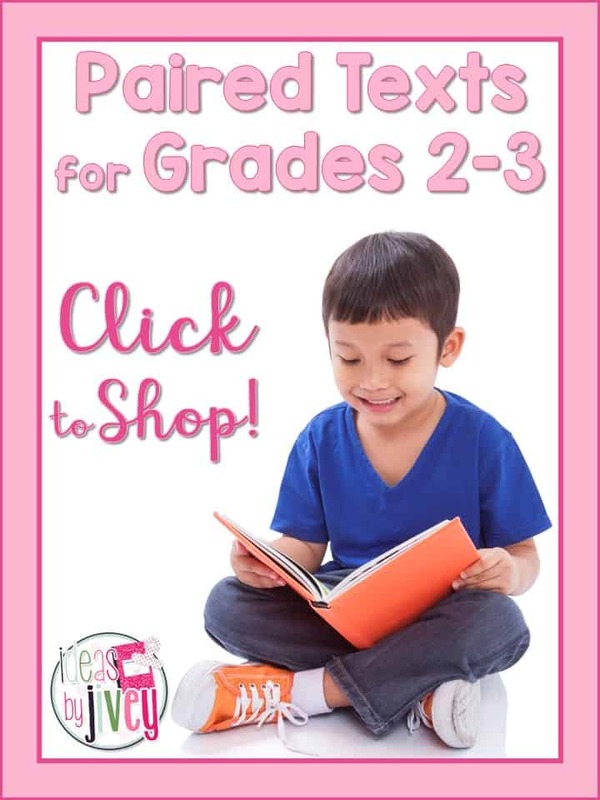 The best part will be when you turn all of these pages into a class book that they can read during reading time (book cover included in the pack)! 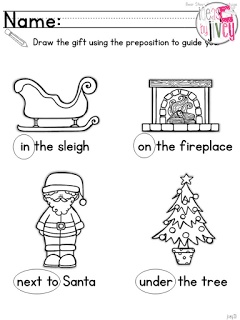 On the last day, students will have the opportunity to demonstrate their understanding of prepositions with a fun drawing activity. 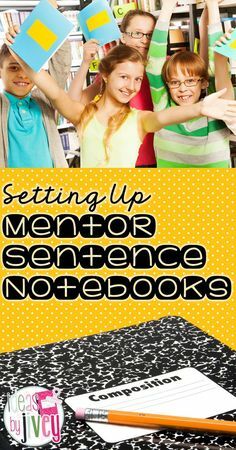 Students LOVE doing mentor sentences, and so will you! 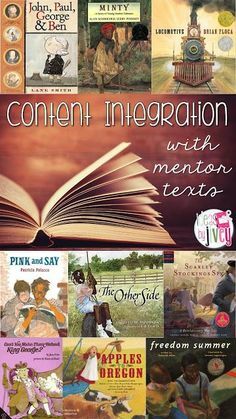 Students will make connections and remember the sentences from week to week- and you will be amazed at the growth you see! 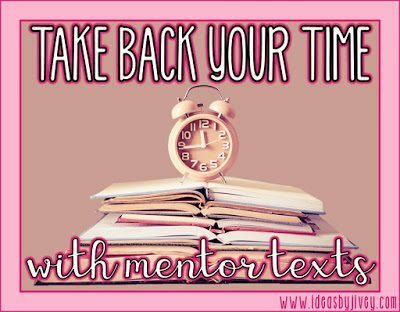 Want to try out this lesson for free? 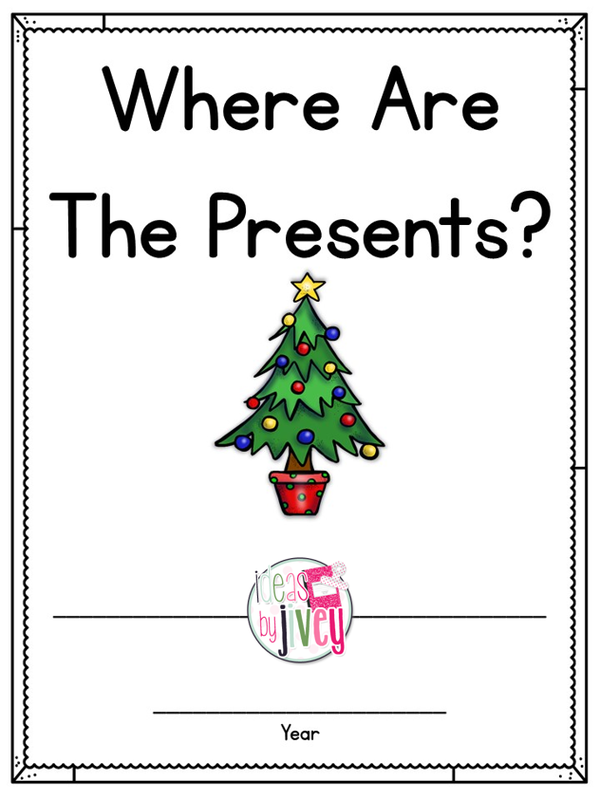 CLICK HERE for an exclusive blog freebie! 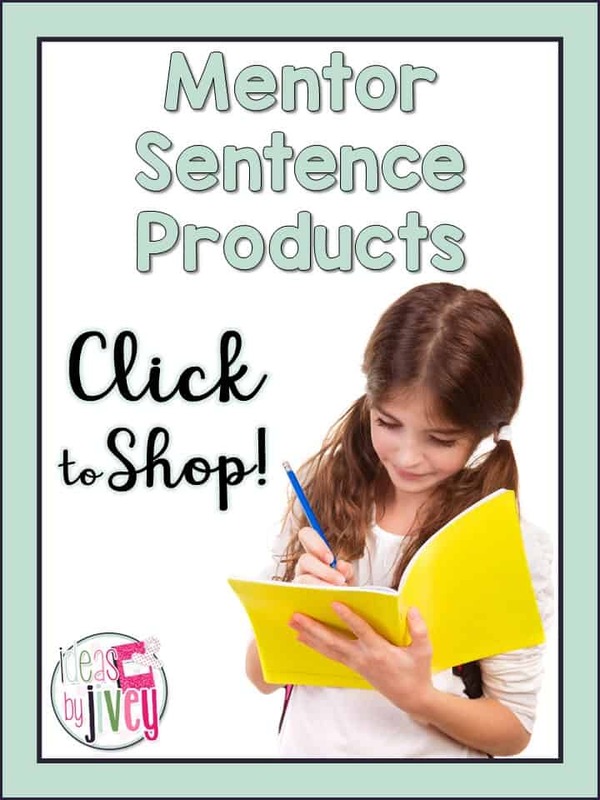 Check out other Kindergarten and First Grade Mentor Sentences in my store! 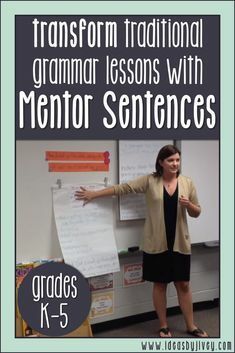 For more Mentor Sentences Resources and ideas, follow my Pinterest board!